Opening: Dustflights are trained to sense explosions in the Down Below. Honeysuckle is my papa’s Dustflight, a tiny yellow bird they give every miner in Coal Top. Twelve-year-old Mallie Ramble knows better than to dream. In Coal Top, you live the story you’re given: boys toil in the mines in the Down Below and girls work as servants. Mallie can’t bear the idea of that kind of life, but her family is counting on her wages to survive. Her father is injured in the mines. It wasn’t always this way. Before the Dust came, the people of Coal Top could weave starlight into cloth. They’d wear these dreaming clothes to sleep and wake up with the courage to seek adventure . . . or the peace to heal a broken heart. But now nothing can penetrate Coal Top’s blanket of sorrow. So when Mallie is chosen for a dangerous competition in which daring (and ideally, orphaned) children train flying horses, she jumps at the chance. Maybe she’ll change her story. Maybe she’ll even find the magic she needs to dream again. Maybe she will help her community to heal. But the situation proves even more dangerous when Mallie uncovers a sinister mystery at the heart of Coal Top’s struggles — a mystery some powerful people, like Mortimer Good and his Guardians, will do anything to protect. Over the Moon is an enchanting tale that will transport readers to Coal Top, a community that has lost its joy and is blanketed in sadness. And there is a girl, Mallie, who is pure of heart and brave enough to dream of flying among the stars. Natalie Lloyd creates a magical experience with a touch of realism. 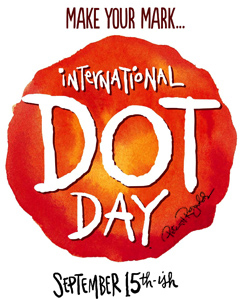 Her storytelling and literary style sets her apart as an original voice in children’s literature. The characters are complex and unforgettable. Mallie is the loveable narrator who is wild and brave on the inside, “a fire-popper in a glass jar.” She has a short right arm and wears a fake orange “Popsnap,” that attaches at her elbow. She is her family’s breadwinner. She’s spirited and determined to keep her younger brother, Denver out of the mines. Adam is Mallie’s best friend and only sees her abilities. Together they make a good team. Honor and his friends are bullies. Iggy is a three-foot tall woman who cares for the flying horses. She is a tough trainer with a tender heart. Mortimer Good, is a beguiling and evil manipulator who wields a lot of control over Coal Top. The plot is courageous, thrilling, and dangerous, with a sinister twist. Seeking “riches untold,” Mallie, Adam, Honor and other mountain kids show up for Mortimer Good’s competition. But they must prove themselves by capturing a magical flying horse (Starbirds) in the dangerous West Woods, which is full of monsters. There is adventure in training their horses, wonder in flying, danger in collecting riches from the mountains, and mystery in the origins of the dust. Over the Moon is a labor of love for Natalie Lloyd, as she draws upon her own experience with a physical disability to create her main character, Mallie. In doing so, Lloyd shows her own source of courage as she pours her heart into brave, adventurous and kind-hearted Mallie. The heavy Dust that blankets Coal Top and snuffs out the light, becomes a powerful metaphor for the “dust” in our daily lives. Mallie is a reminder for readers that they need to push through their own challenges and darkness to find their inner light. Over the Moon will touch your heart and soul. It is a tale of love, friendship, hope and courage. Lloyd’s fans will be “over the moon” with her new novel. The stars are shining bright for thee. Natalie Lloyd is the New York Times bestselling author of A Snicker of Magic, which has been optioned for television by Sony TriStar. Lloyd’s other novels include The Key to Extraordinary, and The Problim Children series. Lloyd lives in Tennessee with her husband, Justin and her dogs Samson and Biscuit. Visit Lloyd at her website. Opening: This is Carolyn. Like many kids her age, Carolyn loves animals, castles, and building with blocks. She is helpful to her mom and dad and even to her baby brother. Carolyn is a happy, energetic, caring first-grader who just happens to be in a wheelchair. She’s excited to start her new year of school and make new friends. The other students are curious about Carolyn because she uses a wheelchair. Some are accepting, while other kids are reluctant. Yes I Can! follows Carolyn on a typical day at home, at school, and even on a field trip! She can do almost everything the other kids can, even if sometimes she has to do it a little differently. The other kids become used to Carolyn and notice what she can do. The authors have written a very uplifting story that focuses more on what Carolyn can do, than what she can’t do. Carolyn is very outgoing, social and wants to participate. And there are many things available to help children with disabilities adapt and participate. I like how the teacher in the story handles Carolyn’s disability in her classroom. She makes sure Carolyn feels included when she asks her to pass out papers, when she invites her to help with the morning song and when she makes sure she can accompany the class on a field trip. This helps Carolyn feels less isolated. And the teacher has to deal with the other students’ curiosity. Kids are naturally very curious about someone they may perceive as different. Some feel cautious and awkward. They don’t know what to say or how to act. And Carolyn’s teacher is very supportive, so that her school friends feel comfortable including her in school activities, recess, and lunch. The students hardly notice her disability. The illustrations are expressive, warm and endearing. 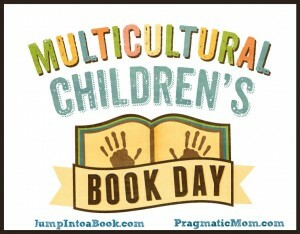 They show diversity which compliment the book’s theme. Resources: The book includes a Note to Parents, Caregivers, and Teachers with more information on discussing disabilities with children and helping them to build positive, empathic relationships. I especially like the lists of questions with suggested answers that teachers can use. Publisher Synopsis: “Hummingbirds and angels don’t need two good feet. They have wings.” That’s what Alba’s mother always says. Of course, Alba doesn’t have wings or two good feet: she has Cleo. Cleo is the name Alba has given to her left foot, which was born twisted in the wrong direction. When she points this out, though, her mother just smiles like the world has some surprise in store she doesn’t know about yet. Well, Alba has her own surprise planned. After one final surgery and one final cast, Cleo is almost ready to meet the world straight on―just in time to run in the sixth grade cross-country race. Unfortunately, Alba’s best friend Levi thinks there’s no way she can pull it off. And she thinks there’s no way he’s right about the school librarian hiding a wormhole in her office. Tempers flare. Sharp words fly faster than hummingbirds. And soon it looks like both friends will be stuck proving their theories on their own. Michelle Kadarusman has crafted a richly textured story about Ada, who has a leg that is directionally challenged. It is a powerful and captivating story about differences and abilities and “learning to love who you are and what you can do.” It is emotionally honest and filled with heart. It is important for readers to see themselves in realistic characters like Ada. You don’t feel sorry for Ada because of her determination and resilience. She is believable and won’t let anyone put limitations on her. I love how she names her club foot “Cleo,” out of kindness. Her best friend Levi spends recess indoors with her because of his asthma. His obsession with time travel and wormholes provides a lot of comic relief. The author’s use of hummingbirds as a poignant metaphor to help Alba embrace her life in a meaningful way and pursue her big dream. “Hummingbirds don’t sit around moaning about their tiny feet and that they can’t walk,” she says. Like Ada, the author was born with talipes equinovarus (CTEV), more commonly called club foot. The plot is paced well with the perfect amount of tension to keep readers intrigued, engaged and guessing. This is an excellent book for any school library. **I won on Rosi Hollinbeck’s wonderful website The Write Stuff. Check if out. She always has gifts and tips for her writer friends. 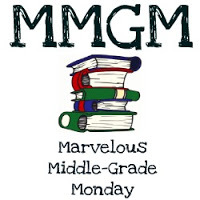 Greg Pattridge is the permanent host for Marvelous Middle Grade Monday posts on his wonderful Always in the Middle website. 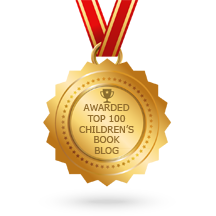 Check out the link to see all of the wonderful reviews by KidLit bloggers and authors. 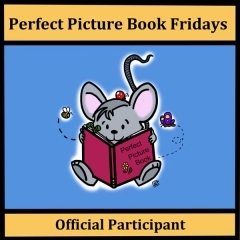 Laurie Ann Thompson has written a triumphant picture book that will resonate with children who have different abilities. It is an uplifting and courageous true story about determination, hope and believing in one’s own abilities. Emmanuel doesn’t see his limitations as other do. He embraces his differences and dreams of carrying his positive message for those who are physically challenged across Ghana. Emmanuel wants people to see him and his disability. He wants people to hear his message. Emmanuel becomes a champion for the disabled and shows that one person can bring change. Thompson’s narrative is simple but delivers a powerful punch for readers. Sean Qualls’ expressive ink and watercolor illustrations compliment and capture Emmanuel’s remarkable journey. Resources: Make sure you read the Author’s Note at the end of the story to learn more about the continuing work of Emmanuel and how your may get involved. He starred in a documentary about his life called Emmanuel’s Gift, which is narrated by Oprah Winfrey. 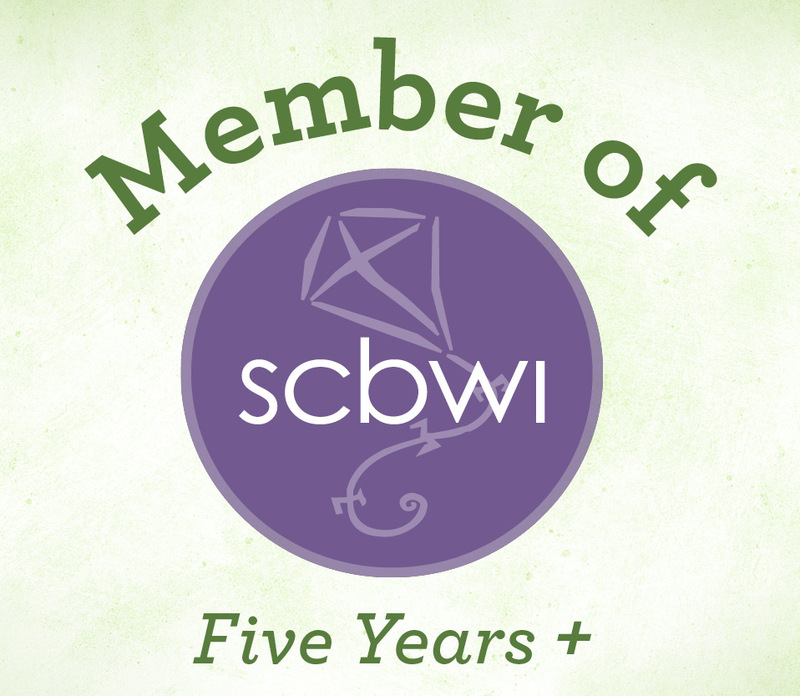 Visit Laurie Ann Thompson’s website, where you will find a curriculum guide. Visit his website Emmaunel’s Dream. 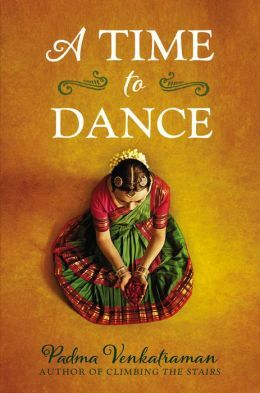 Book Jacket Synopsis: Veda, a classical dance prodigy in India, lives and breathes dance–so when an accident leaves her a below-knee amputee, her dreams are shattered. For a girl who’s grown up used to receiving applause for her dance prowess and flexibility, adjusting to a prosthetic leg is painful and humbling. But Veda refuses to let her disability rob her of her dreams, and she starts all over again, taking beginner classes with the youngest dancers. Then Veda meets Govinda, a young man who approaches dance as a spiritual pursuit. As their relationship deepens, Veda reconnects with the world around her, and begins to discover who she is and what dance truly means to her. Reading Venkatraman’s novel is an experience of India in all its beauty, cultural traditions, senses and sounds. If you listen closely you can hear the faint echo of a dancing rhythm. Thaiya thai. Thaiya thai. I highly recommend this beautiful novel for tweens and teens who have faced challenges in their lives. This book is a treasure on my bookshelf. Padma Venkatraman is an oceanographer by training and a writer by choice. 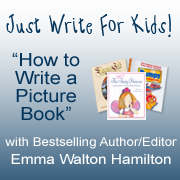 She is the author of Climbing the Stairs and Island’s End, both multi-award winners. Padma was born in India, but is now an American citizen. Visit Padma at her website. It has discussion questions and teaching resources.